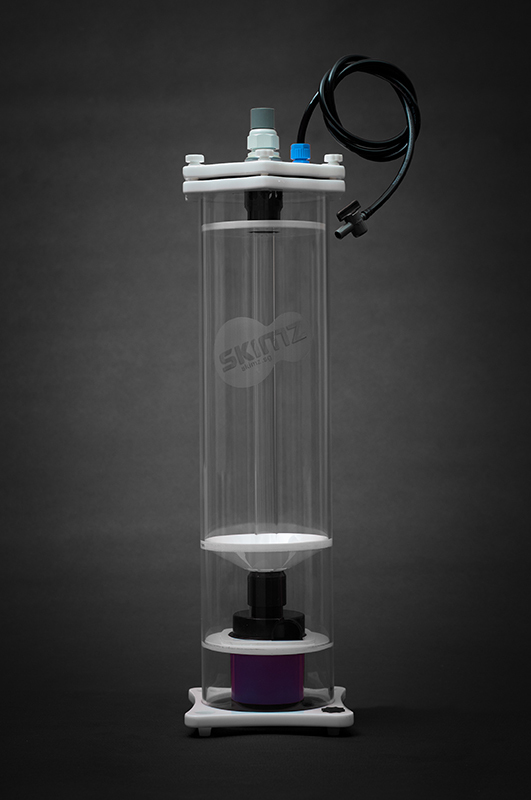 Skimz RR157 Recirculating Biopellet Reactor featured with self-priming and does not require feed pump as it feeds itself via a specially designed inlet. This Recirculating Reactor is powered by QuietPro DC pump which mean lower power consumption, more efficiency, less heat and calcium buildup in the pump. 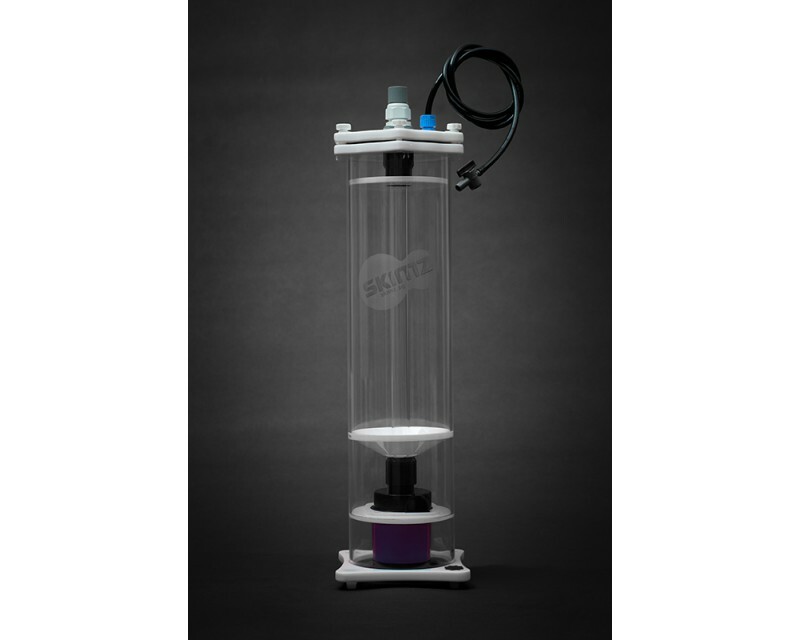 The pump in the Reactor also features six preset settings to dial in your reactor to the right level without compromising pressure. 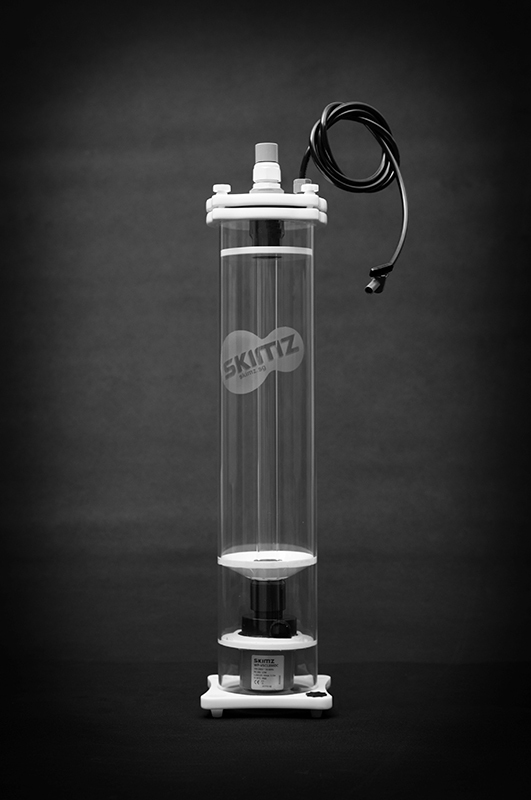 Skimz RR157 can also be used with phosphate media or activated carbon. 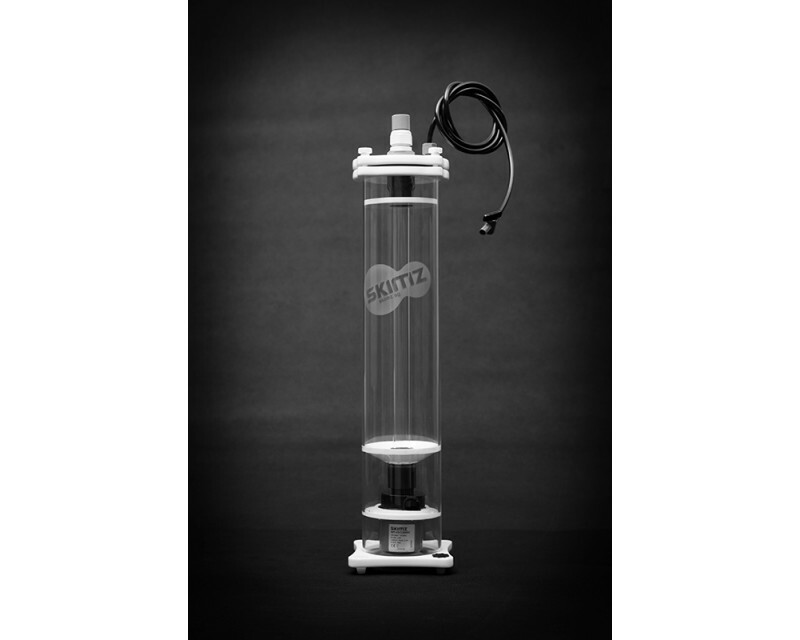 When using it as Fluidized Reactor, insert the provided sponge at bottom and top of the reacting chamber.